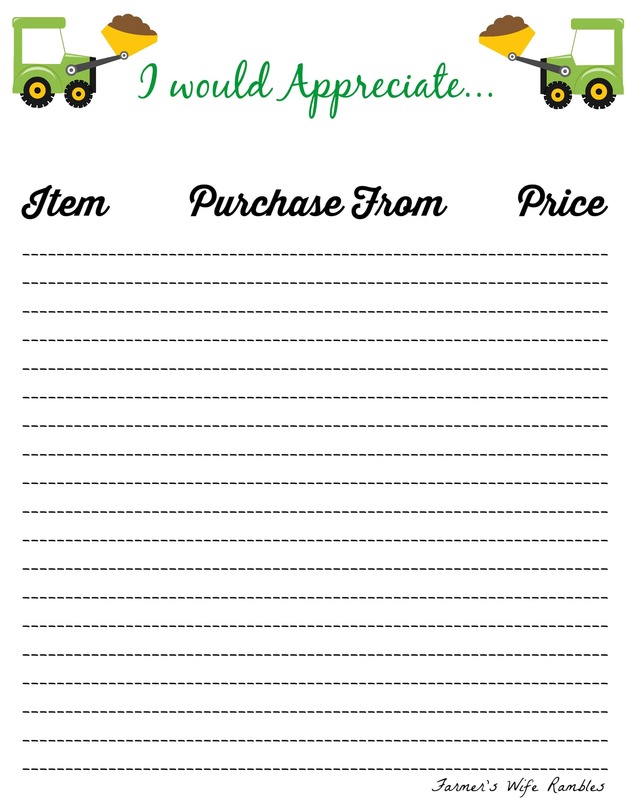 When it comes time for Christmas or birthday gifts we as moms are asked constantly what does he like, want or need. In the past I have always been put on the spot…uhhh well he likes trucks or anything would be fine. 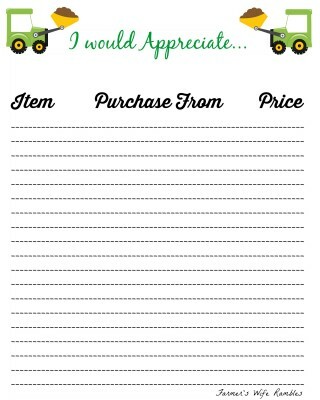 Even for our own household when gift giving time comes sometimes we are left at a loss, which is bad because when they ask for something we tell them to put it on their list. The problem with this? 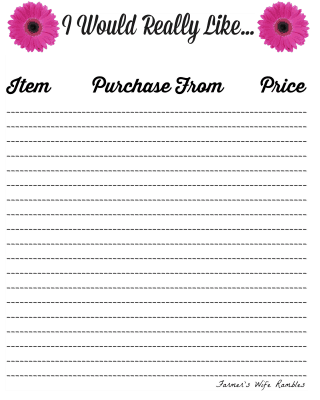 The list stayed in my head and I can admit that I am forgetful! Very forgetful so there is no way that I would remember something from 5 months ago. This year I swore that when that question came up I would be prepared and I am. 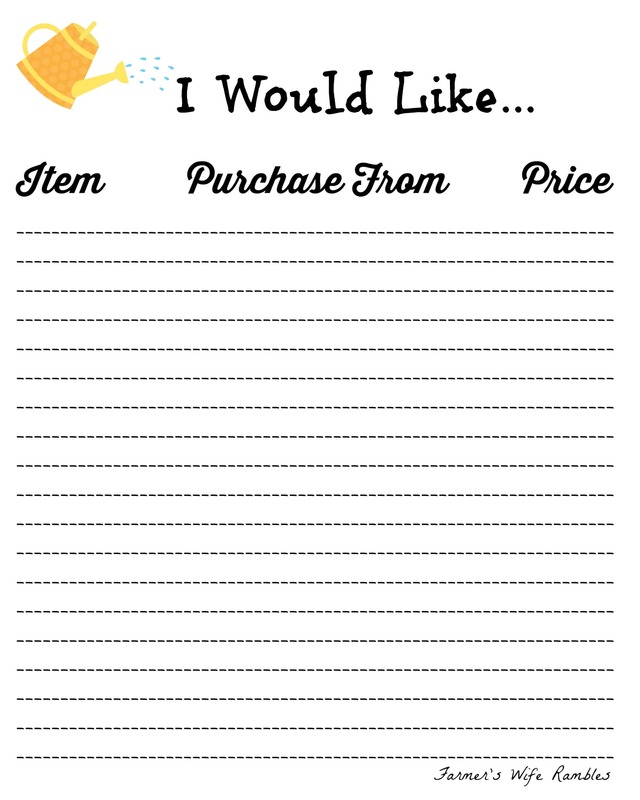 Everyone in our family has one of these Wish List Printables and one for family gifts. 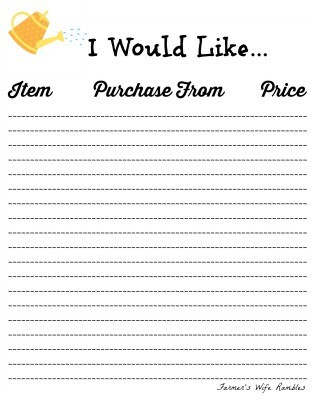 When the kids see something they want or need we add it to the Wish List. 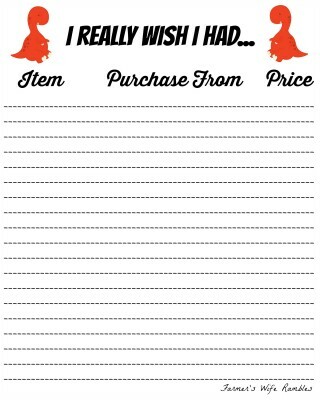 Christmas and birthdays will be a breeze now and we are not sitting around twiddling our thumbs wondering what to give them. 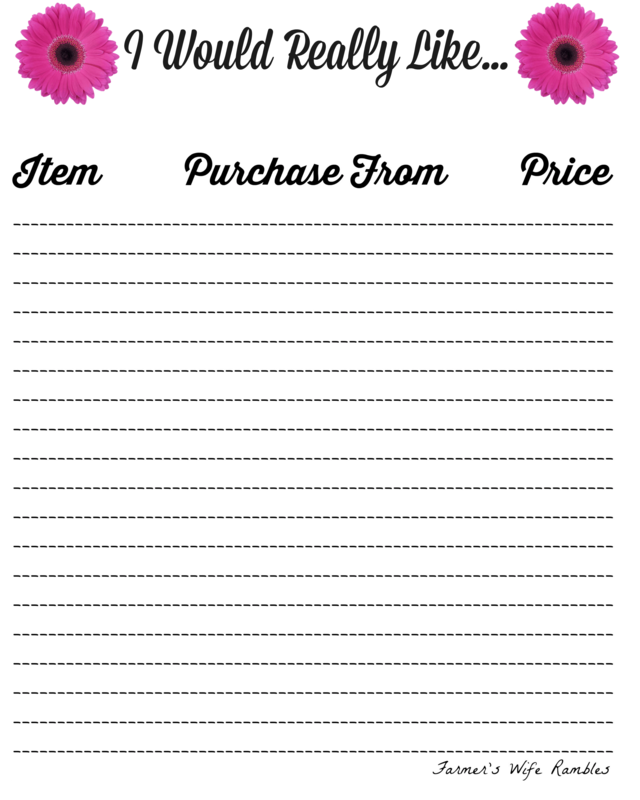 These lists could also help you save money because your not buying toys, clothes or games that your children (or husband) don’t really want. 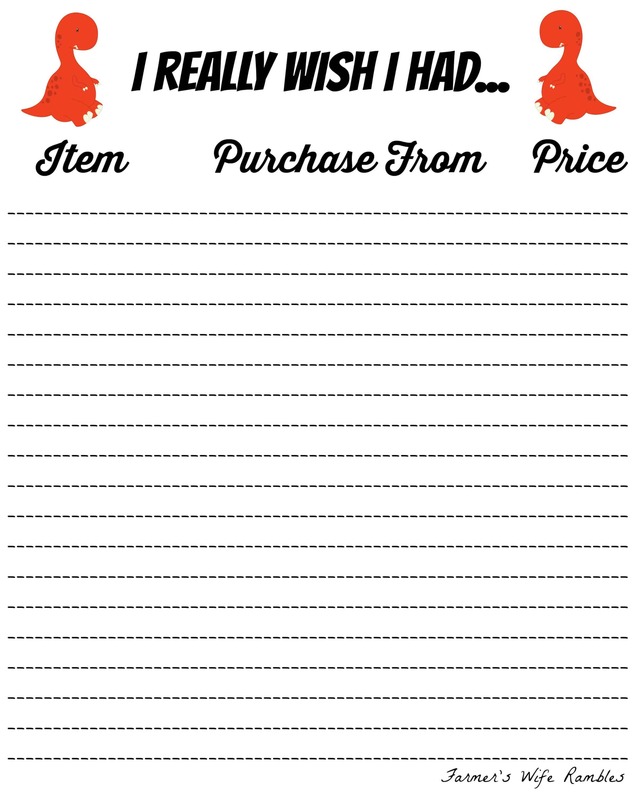 If they put it on their wish list they must really want it right? 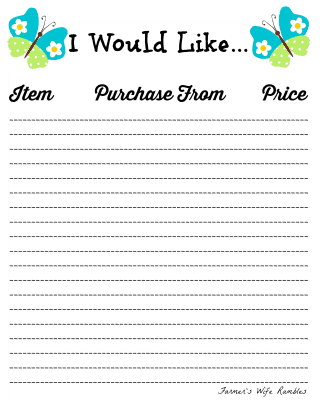 Add these Wish List Printables to your family binder so that they are always on hand quickly. I love this page binder that I purchased as it lets you open the binding to remove or add pages as needed. 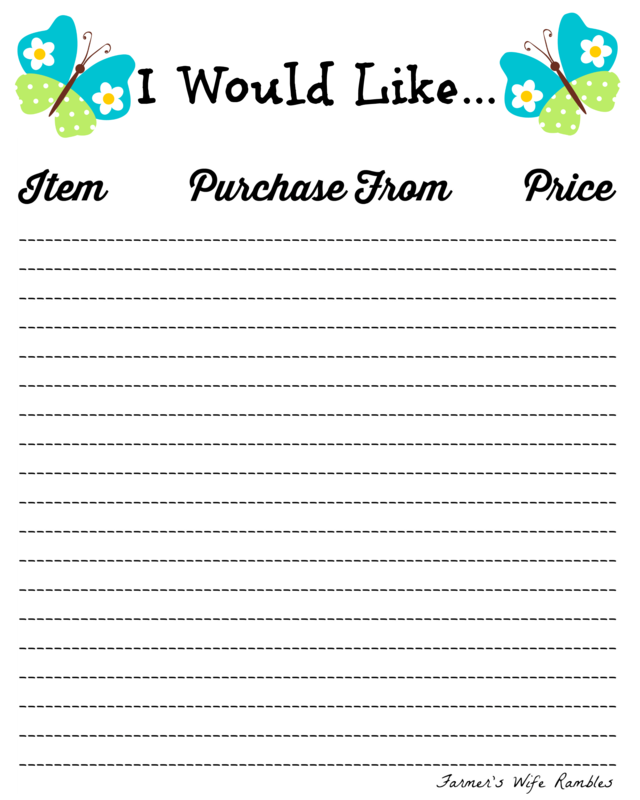 I can take out pages when they are full and no longer needed or I can add new pages to our family binder when we decide there is a need. 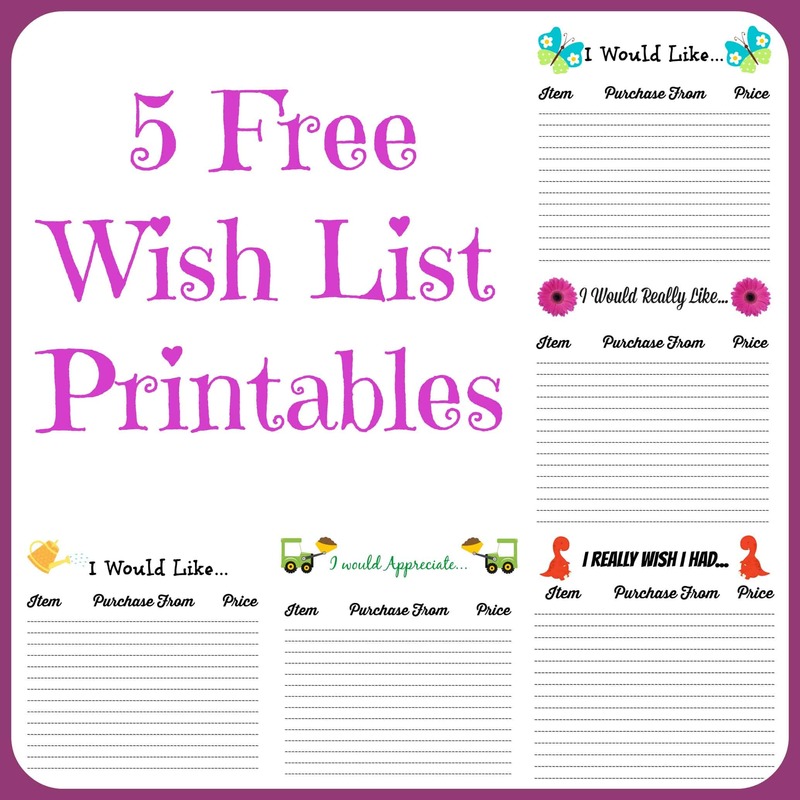 Click the pictures above or click the links below to start your download of any of these 5 wish list printables. Those are really cute, what a great way to stay organized! these are some great wish lists~ I would love to print these out for myself, a great way to track things. What a cool idea! I need to make a wish list!!! I really like the way these are worded. There’s a subtle difference between each and they all encourage manners.